Under-eye treatment helps to lighten up under eye dark circles, eliminate wrinkles, which improves the overall appearance of the eyes. The process starts with cleansing the area around the eyes, applying a 100% natural pack, and a massage for better blood circulation. This cleanup clears your face and makes your skin healthy and radiant. It nourishes the skin and promotes proper blood circulation in the face. The veg peel pack is a boon for women with scars and other blemishes. If you suffer from pimples, skin tanning and sun damage, this peel pack is what your skin needs. The end result is clear, oil free and glowing skin. 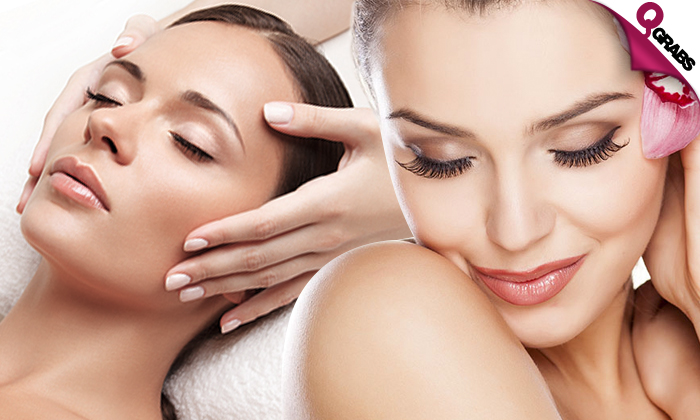 A facial massage promotes blood circulation. This facial treatment can help slow down the aging process and prevents the appearance of wrinkles. Improves and restores circulation to facial skin layers and increases the flow of oxygen-enriched blood to skin cells. Pearl facial is perfect for extremely sun-damaged and sun-tanned skin. It works as an anti-tan face mask, due to active enzymes present in the pearl mask. Thermo Herb: This treatment uses a warm mix of natural ingredients to keep all the signs of aging away. A self-heating mix of calcium salt and a few specific natural herbs is applied on your face. Gold Galvanic Facial: This treatment helps in reducing the wrinkles, fine lines and spots. The facial stimulates the skin cells preventing aging of the skin. Gold helps lighten the skin complexion and prevents collagen depletion. It is beneficial for the skin inflamed or damaged due to the Sun. This facial exfoliates your skin. It helps with aging-related issues and also treats other skin issues. Detoxifies your skin and helps in controlling break-outs. Makes your skin tight and keeps your face hydrated rejuvenating and brightening your skin. Options 2 – 7: This process begins with the cleansing of the face and neck area, applying a scrub to remove dead skin, steam to open up pores and removal of black and white heads, face and neck massage and ends with the application of a face pack to restore moisture. 50% off having radiant and glowing skin! Diya Beauty Salon is Qatar’s new beauty salon located at Bin Omran & offers great service at attractive prices for ladies.